Sensi Seeds' Jack Herer is known as one of the finest cannabis varieties ever created and is often referred to as the 'champagne of strains'. 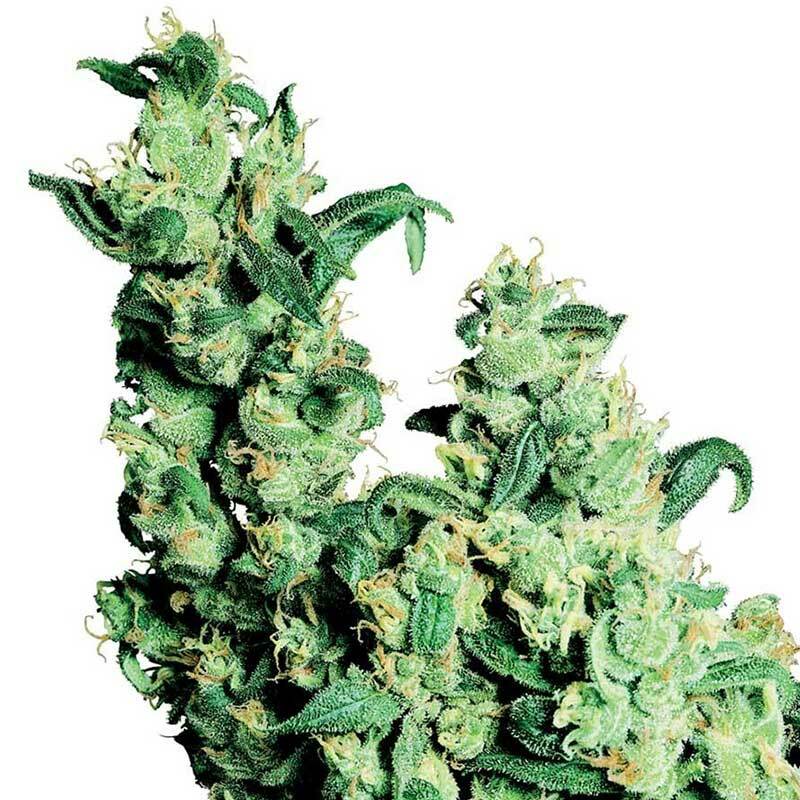 White Label Jack Herer is therefore the Méthode Champagnoise of top-class cannabis hybrids. While not quite in the same league as the true elixir, she's far superior to 'sparkling white wine' and miles ahead of the various low quality 'Jack' copies. White Label Jack Herer is a subtle f2 variation on the original f1 strain, with parents selected from the award-wining JH gene pool. Phenotype variation remains quite large, with most examples leaning towards Sativa - tall, energetic, Hazey plants with fabulous resin production and an uplifting, almost psychedelic effect. Females with very strong Sativa traits combined with good yield and manageable size are common among plants grown from these seeds, and such individuals should be preserved as mother plants by anyone who wishes to produce ganja that's as good as it gets.